Please type your desired tags, e.g. Theoretical, Physical or Analytical, Functional Genomics, Acounting, Organizations, Strategy and International Management, renewable energy, 3d printing, Dietetics, Public and School Libraries, Alcohol Studies, Appalachian Literature, US History, Identity and Selfhood, Women’s studies, Genre theory, Games Development, and etc. 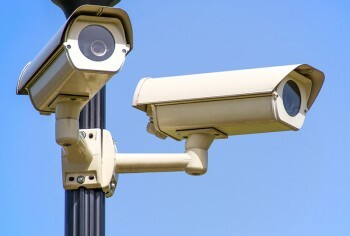 The study, published in the June edition of the International Journal of Law, Crime and Justice, was designed to help the South Korean government determine the most effective sites for video surveillance cameras to prevent crime. 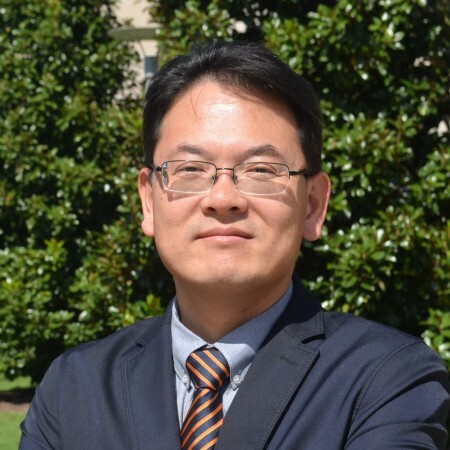 Dr. Dohyeong Kim, associate professor of public policy and political economy and geospatial information sciences (GIS) in the School of Economic, Political and Policy Sciences, and his co-authors received funding from the Korean Institute of Criminology, a national crime and criminal justice research institute, to support the research. Geospatial information sciences (GIS) can help determine where diseases are spreading and where to target the resources needed to stop them, but spatial data isn’t widely used for health decision-making in many developing countries.That lack generated the idea for a recently published UT Dallas study to identify — and ultimately remove — barriers to using GIS technology to solve public health problems in Bangladesh. Although nearly eight years have passed since a major oil spill in South Korea, compensation and recovery efforts appear to be far from satisfactory, and the affected communities continue to suffer the effects of the disaster. UT Dallas’ Dr. Dohyeong Kim, second-year doctoral student Soojin Min and two Korean scholars have found a considerable gap between the economic loss claimed by residents and the compensation they received after the Hebei Spirit oil spill. Only 11 percent of the claims were approved for compensation. 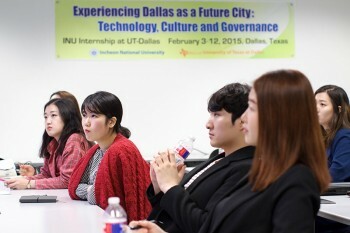 With lectures, visits to government offices and field trips to local destinations, a new internship program is teaching urban policy and architecture students from South Korea about how Dallas is building its future. 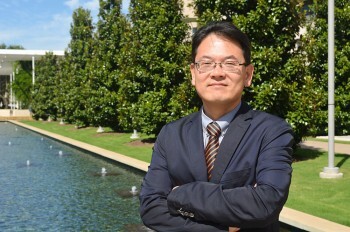 Dr. Dohyeong Kim, associate professor of public policy, political economy and geospatial information sciences in the School of Economic, Political and Policy Sciences (EPPS), proposed the program when Incheon National University announced it wanted to provide an internship for undergraduate students. Kim designed the schedule and coordinated the programs with assistance from Soojin Min and Kwang Bin Bae, EPPS doctoral students. New UT Dallas research highlights the importance of using the right lens to get a complete picture of a public health problem. 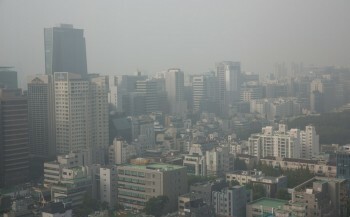 Researchers in the School of Economic, Political and Policy Sciences wanted to take a closer look at how pollution and allergic diseases were related in Seoul, South Korea. The image came into better focus when they incorporated a spatial statistical method called spatial autocorrelation, which allowed researchers to look at the degree to which pollution levels and allergic diseases were related in much greater detail and in smaller geographic areas of the city over five years.